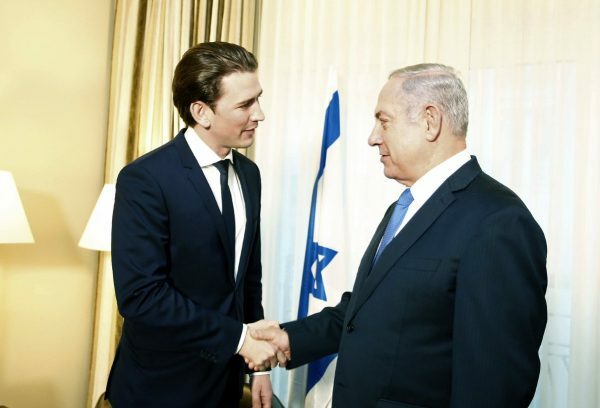 Austrian Chancellor Sebastian Kurz announced on Wednesday that Israeli Prime Minister Benjamin Netanyahu will travel to Vienna for meetings and to attend a conference on antisemitism, the first visit by an Israeli prime minister to the country in more than 20 years. Netanyahu’s two-day visit, between Nov. 20-21, comes amid increasingly close ties between Jerusalem and Austria’s right-wing government. “2018 is a special year of commemoration. We must always remember our historic responsibility and do everything in our power to fight all forms of antisemitism,” Kurz said a video posted in another tweet. Netanyahu is also expected to make a visit to Vienna’s main synagogue, known as Stadttempel, where he will meet representatives of Austria’s Jewish community.